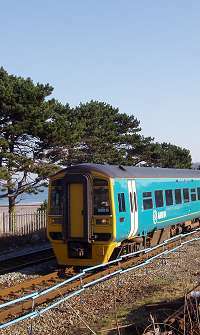 It is here that my interest in Cassidy intersects with the subject of my other website on the railways of North Wales, so an excuse for a visit there is always welcome. 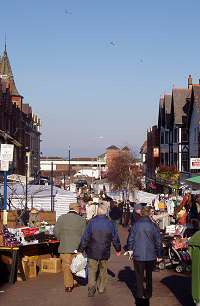 Today, Colwyn Bay still bustles and welcomes many visitors, although mostly day trippers rather than people on their annual holiday; increasingly the hotels are being replaced by residential accommodation. 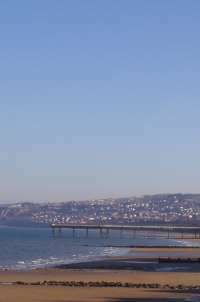 The pier, a traditional feature of the British seaside resort, survives, under somewhat reduced circumstances; in 2008 it was owned by an individual whose efforts to restore it were hampered when he was made bankrupt for non-payment of charges to the local council. Dear Sir (or Madam). 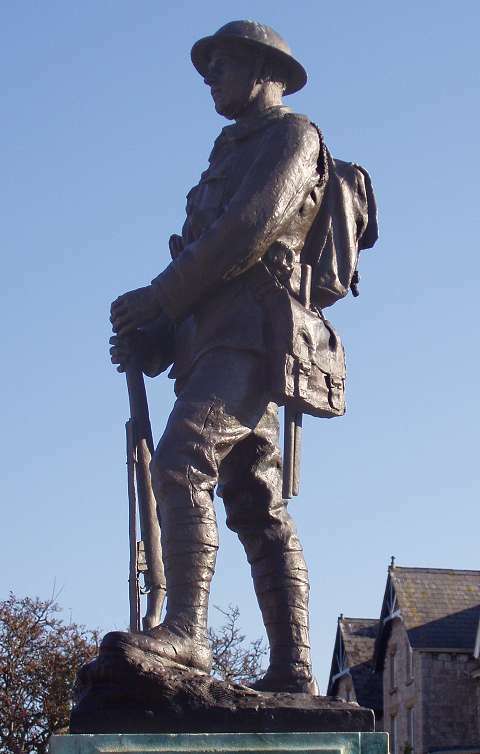 It is now over three years since the Great War came to an end, and up to the present there is nothing in the way of a Town Memorial to commemorate the glorious sacrifice made by the men of this district. The committee has for some time been appealing for subscriptions in order that the proposed Memorial may be completed, but so far only about £500 has been promised. 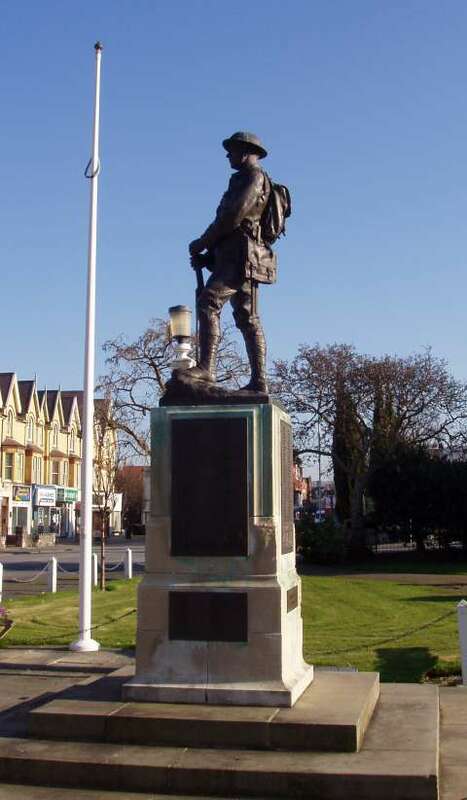 The amount required for the memorial such as Colwyn Bay desires is at least £1000. 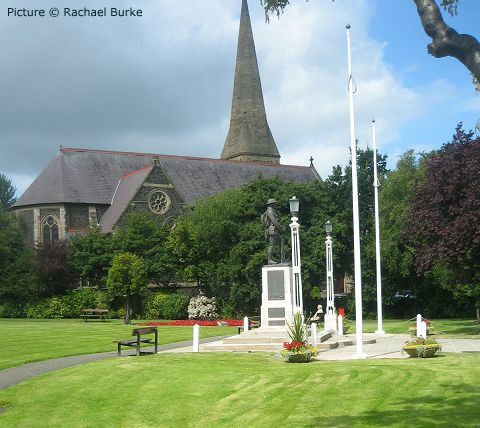 The Committee, having heard from the Sculptor that the Town Memorial to be erected in the Council Ground will be ready for unveiling by November 1st, are anxious that every inhabitant should have an opportunity of subscribing to the cost of same, so that it may be unveiled free of dept. The amount still required is £300. All was ready by Saturday November 11th 1922 and at 10.30 a.m. on that day The Right Hon. Lord Colwyn unveiled the Memorial. 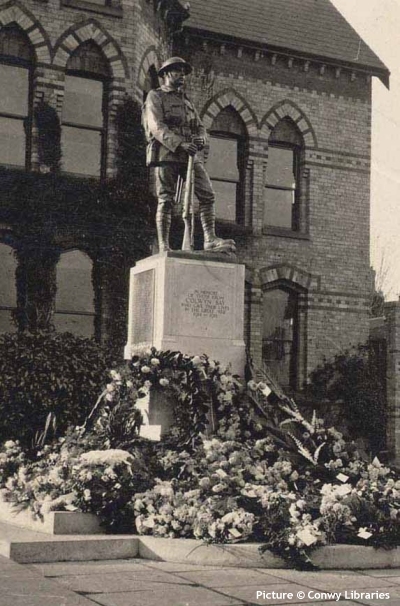 The Memorial was erected at the front of the original Town Hall ... when this was demolished in 1964, the Memorial was moved down the road to Rydal Gardens, which have since been renamed Queen's Gardens. It is an imposing statue and was sculpted by Mr. John Cassidy of Manchester. The engineer and surveyor was Mr W.J. 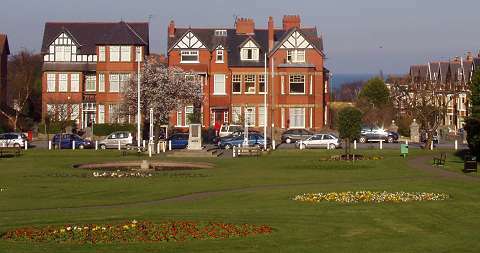 Dunning from Colwyn Bay Council and the bronze founders were H. H. Martyn & Co. Ltd., of Cheltenham. The foundation stone was fashioned by two monumental masons, F. M. & H. Nuttall of Manchester and the local firm of Davies & Son. 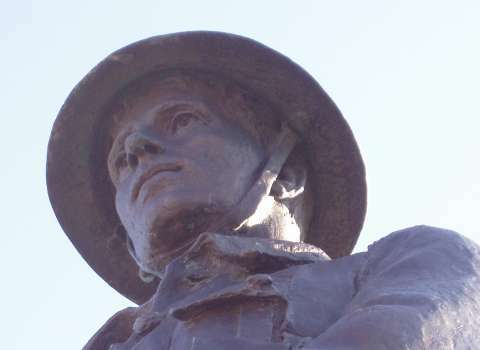 Colwyn Bay Town Council wants to install CCTV cameras to protect a war memorial that has been desecrated by vandals. The memorial at Queen’s Gardens was recently sprayed with paint by yobs who also used the steps as a BMX run. 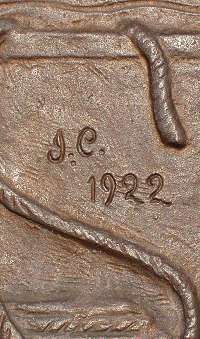 The bronze plate listing the names of soldiers lost in the First and Second World Wars and the Korean conflict was smeared with orange cellulose paint, while tyre marks have scarred the monument’s steps. 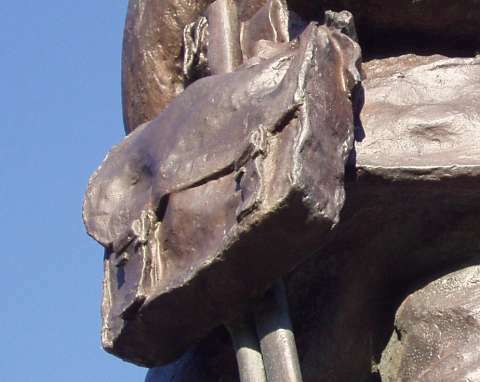 It is thought BMX bikers have used the steps on each of the four sides of the statue to perform stunts. The damage was discovered at a special re-dedication ceremony at Queen’s Gardens just a couple of days before Remembrance Day, which marked a £20,000 makeover for the monument. Town clerk John Roberts told a shocked chamber of councillors at the town hall last week how he discovered the mess. 'We had a re-dedication service which a fair few councillors attended. However, when we looked at the war memorial there were two slabs of stone badly in need of replacement,' he said. John Schofield is a member of Colwyn Bay’s Royal British Legion on Coed Pella Road and was shocked when he discovered the damage. 'The kids run riot in that park. It is all part of the national trend, nobody seems to be able to control them,' he said. 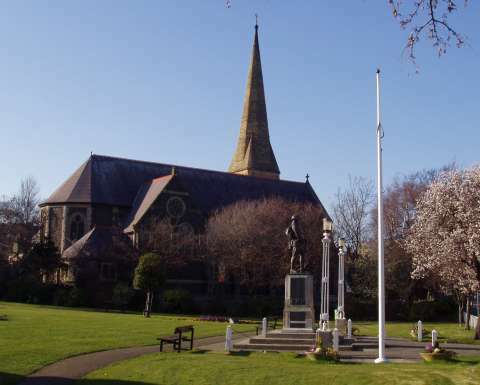 It was a sunny 16 February 2008 when I walked up from Colwyn Bay railway station, through the town market, and turned right on to the main Conway Road at the top, soon to get my first view of the War Memorial, Queen's Gardens, and St John's Methodist Church behind. Lighting conditions were difficult due to the low winter sun shining on the back of the statue, but here it is, looking back towards the town. The plinth, which appears to be portland stone, is showing signs of deterioration, but the bronze statue and plaques are in good order. A close-up of Cassidy's British 'Tommy' with all his equipment as carried through the unmentionable horror of the 1914-1918 trench warfare. A close-up shows Cassidy's eye for detail; at the same time he has left marks of his working of the original clay, to be replicated in the final brionze casting, which somehow help to give a feeling of what life was like in the mud of Flanders. The face of bravery and dread. The friezes incorporated into the plaques listing the names of the dead are works of art in themselves: this one shows sailors on the deck of a warship. This plaque is signed 'J.C. 1922' at the right-hand end. Here are soldiers marching to their next battle. The third panel depicts returning servicemen and nurses, some wounded. The plaques commemorate 174 dead from World War I; added after Cassidy's death were additional plaques listing 38 from World War II and one from the Korean War. The soldier would have a view of the sea, if it wasn't for the houses in between (as the old song has it). This picture shows the Memorial in its original position in front of the old Town Hall. Thanks to Conwy Libraries staff, especially Neil Kewley of Llyfrgell Bae Colwyn (Colwyn Bay Library) for the historic picture and information. The design of the memorial can be seen to follow that of Cassidy's slightly earlier one of 1921 at Heaton Moor. 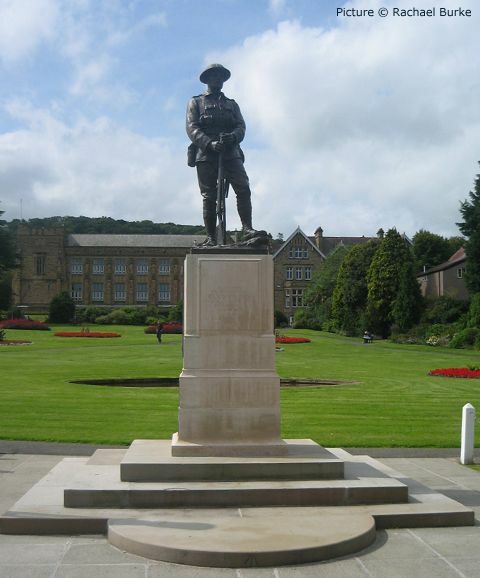 These pictures, kindly supplied by Rachael Burke, show the memorial in 2009, having recently undergone restoration work.